Our dedicated team of email experts handle everything in-house. With over 10 years experience, our services include copywriting, designing, building, testing, automation, sending, reporting & data management. We pride ourselves on making accessible, responsive and beautifully useful emails, following the best industry practices and keeping you on top of the ever changing world of email, including GDPR. Email is quick, easy to achieve and highly effective. Offers, latest news and order updates are to name but a few vital and highly engaged emails that users want, and most importantly expect. Whether B2C or B2B your customers are on a journey, interacting with your business at each step along their way. Email plays a key role in informing and directing the end user towards your companies goals in a way that’s convenient for them. This is often the main reason we see email being the preferred method of communcation that users select. We work closely with your business finding out the core needs for your email marketing using our Insight process. From this, we can create and tailor a custom strategy to best suit your KPI’s and more importantly your consumers’ needs. Users demand emails that are personalised to them, broadcast emails simply don’t cut it in 2018. For every £1 spent, email marketing generates £38 in ROI. Every company should have a email marketing program. Your business is unique and so should be your email marketing. We delve deep and understand your business like it was our own, understanding your KPI’s and your customers’ needs. With this knowledge we can create a bespoke strategy to optimise results alongside experience. Whether you have a strategy in place or only require template design, our expert team can guide you in the right direction. Our mission is to guarantee your emails drive results. As a client of Fantastic you will be given a dedicated account manager that will be on hand to inform you of all your email marketing queries. This will also be your point of contact for reporting and strategy. Let our expert design team create pixel perfect emails that engage and intrigue your audiences. 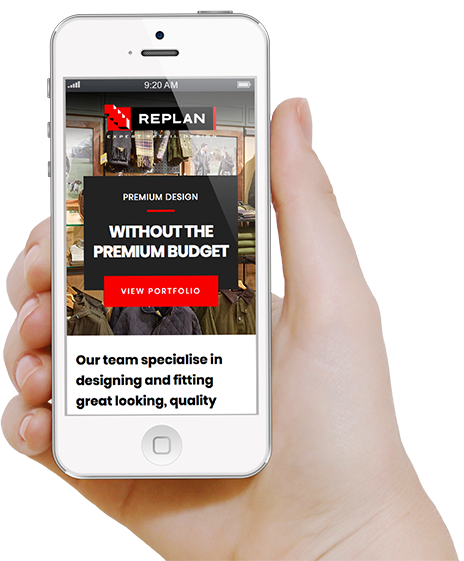 Responsive emails are demanded in today’s world to work on phones, tablets, laptops and desktops. We design with this in mind making sure your communications look and function perfectly across a multitude of different devices. Accessibility is key. Our developers use the best industry techniques to bring as much live text and readability into your emails. Working hand in hand with our designers we can build beautiful emails that are fully responsive. Emails are no longer static – animation is just one example of how we’re able to bring an email to life. Fully interactive emails are also achievable with a captive audience. These include rotating banners, scratch and flip reveals, accordions, collapsible carousels and more. Bring your brand communications into 2018 by enquiring about email marketing today. Automation is the key to personalising your emails to your audience, delivering the right content on an individual level, at the exact right time. Automation leverages your website with behavioural tracking to guide users down a path that makes conversion as simple as possible. We can also use this behavioural data to push content like welcome journeys, abandoned baskets, review stage & re-engagement journeys. Automation will be the key to communicating with your customers instantaneously in 2018, offering a powerful driving force in terms of customer service. Your platform or ours, we don’t mind. We are well versed in email service providers, some are better than others depending on your needs. We can guide you through the platform and let you know if better options might be available. As part of our service we will maintain and clean your email list, removing hard bounces, emails that are no longer valid, automatically unsubscribing users and segmenting users into the correct data lists depending on their actions. All our services are GDPR compliant.